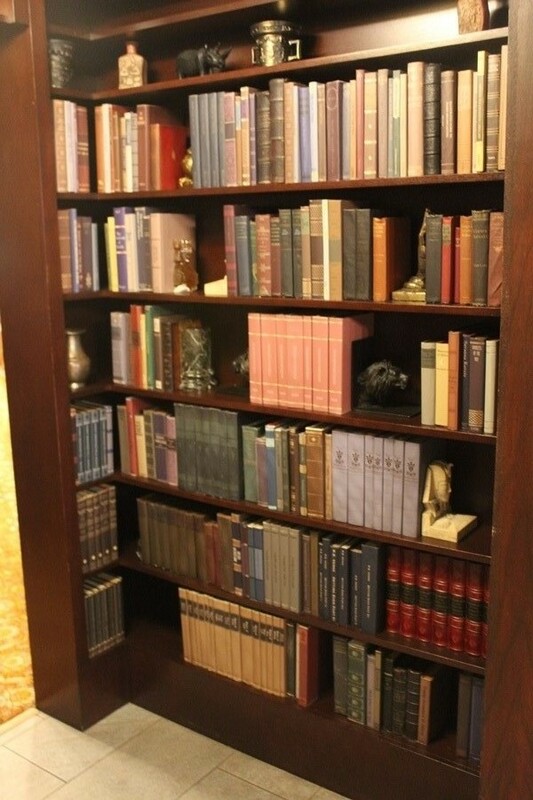 The bookcase of the Jungle Navigation Co. Ltd. Skipper Canteen is also the passageway to the secret meeting room of the S.E.A. (Society of Explorers and Adventurers). The secret passage has clearly not been shuttered in a number of years, but that doesn’t mean the shelves don’t still contain an overwhelming number of secrets. 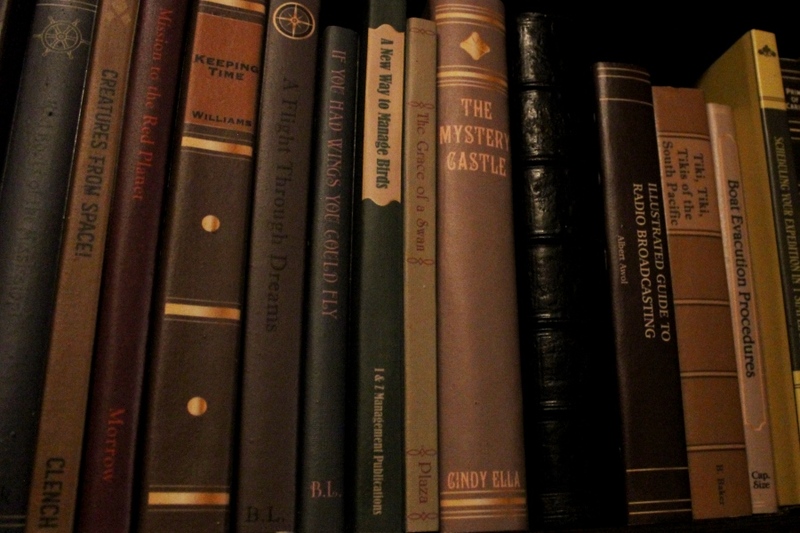 In fact, the books presented here are an amalgamation of gags, nods, and secrets all stored in the various volumes and the spines of these stories. Let’s just take a single section today and see where it takes us. We start with Creatures From Space by Clench. This nod moves our travels over to Tomorrowland and the Tomorrowland Interplanetary Convention Center. It is here that once upon a time Chairman Clench, of X.S. Tech, used his teleportation technology to inadvertently plague guests with a horrific creature from another planet as a part of the ExtraTERRORestrial Alien Encounter. Keeping Time by Williams is our next book off of the shelf, and is a reminder that the one and only Timekeeper was, and always will be, the one and Robin Williams. Next we find a duology, A Flight Through Dreams and If You Had Wings You Could Fly, penned by B.L. Buzz Lightyear, and his Space Ranger Spin occupies the space that was at one point in time occupied by the pair of classic attractions, Dreamflight (or Delta Dreamflight if you prefer) and If You Had Wings. Meanwhile from the shelves in Adventureland we come across A New Way to Manage Birds from I & Z Management Publications. I would have expected a little bit of charring on this book, or at least some cool flame graphics, as it is a nod to Iago and Zazu and their Under New Management approached to the Enchanted Tiki Room. The books dip back to the Hub area for our next two entries. The first is from Plaza, and is entitled The Grace of a Swan. This is a reminder that in the early days of the Magic Kingdom, the waterway around the Hub was filled with the charming Plaza Swan Boats. The dock, pavilion, and topiaries of this attraction may be gone, but they’re not forgotten. The subsequent volume is a little easier to catch, The Mystery Castle by Cindy Ella. If you can’t work this one out on your own, there should be some sort of penalty. Maybe you need to have an8 oz. glass filled with Beverly? The Illustrated Guide to Radio Broadcasting, from author Albert Awol, is perhaps the most straightforward literary recognition on this shelf, but the subject is still not particularly well-known. Albert is quite literally the voice of the jungle as he serves the Global Broadcasting Service as the radio host heard throughout the queue for the Jungle Cruise. He can be heard at regular intervals serving up news and announcements. The final two bring us back home to Adventureland. First up is Tiki, Tiki, Tikis of the South Pacific, created by B. Baker. The Enchanted Tiki Room is once again featured, but this time the author is composer Buddy Baker, whose scores are present in numerous films and attractions through parks worldwide. His original, Hawaiian-inspired, compositions have been featured in the waiting area for the Enchanted Tiki Room. Last, but not least, and a fitting way to close out this tour is Boat Evacuation Procedures, as put down on the page by Cap. Size. This obvious Jungle Cruise reference probably talks about the loading and unloading pair of docks and pulling into dock bow first. 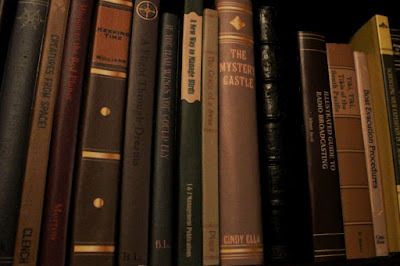 The book shelves of the Skipper Canteen are filled with witty references, and I could spend hours just pouring and puzzling over them. What volume is your favorite? Is it one of the above featured books, or perhaps something else just as clever? Let us know, and then get to reading!